It’s strong, sophisticated and provides the ultimate wow factor. 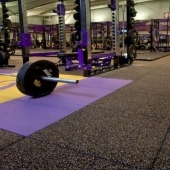 With more people exercising than ever before, it has become increasingly important to select suitable gym flooring. In the past ten years, studio flooring manufacturers and suppliers have seen explosive growth, and the market is set to continue expanding. Here at CYC we source and supply the most innovative flooring options from leading manufacturers worldwide, and have a special partnership with Recreational Coatings. Together we ensure that site surveys, selection processes, subfloor preparation and installations are all carried out correctly and in line with manufacturers’ guidelines. 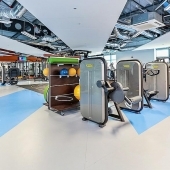 Choosing gym flooring has traditionally not been a terribly exciting affair but, as Ross Johns of Recreational Coatings tells us, fitness flooring has a phenomenal impact, and is now fresh, functional and transformational. Recreational Coatings is a specialist sports and gym flooring installer, set up 30 years ago by Managing Director Jed Hill. 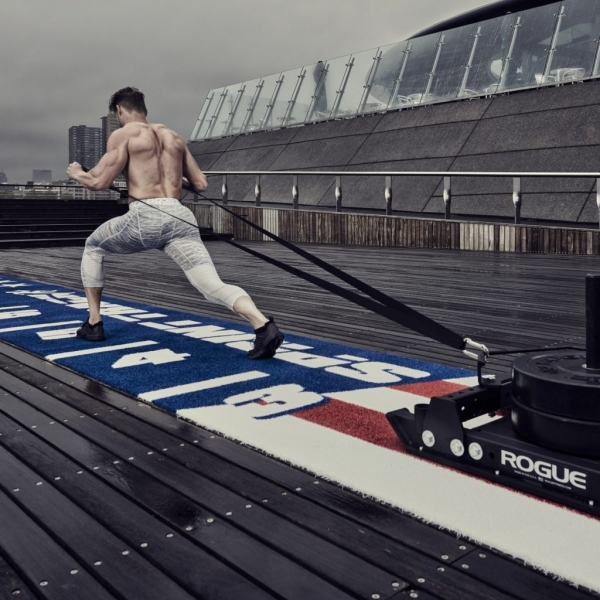 Having worked in health and fitness for over 20 years, Ross has a wealth of expertise, and has experienced first-hand the changes in approach to gym flooring. He joined the company last year as an investor and loves the variety of his work. 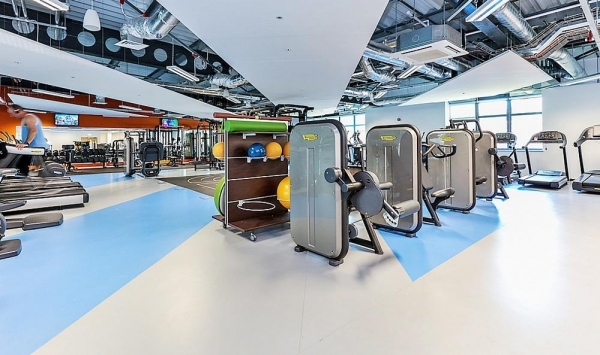 Recreational Coatings offers impartial consultancy on a wide range of flooring products for facilities ranging from sports halls and gyms to the most luxurious of hotels. They have both indoor and outdoor training spaces covered and supply to a great many universities and educational establishments. Ross begins by telling us here at CYC that choosing the correct flooring for your fitness space is crucial, and mistakes can be very costly. Flooring deserves time and careful consideration, which is why site visits and extensive surveys are an essential part of the selection process. 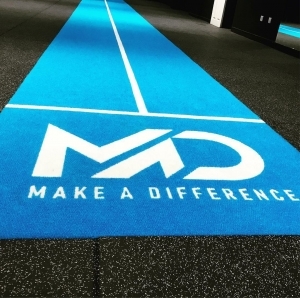 “Flooring can make the difference between a mediocre gym and one with one with an almighty wow factor. It can look outdated, so keeping on trend is important. 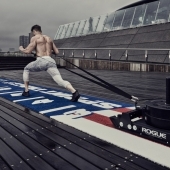 Flooring has to be functional, practical and safe.” Ross goes on to say, “It has to interact with the kit and the people using it, which is why we carry out rigorous tests by taking products into the facilities to be sampled. There are so many different styles, thicknesses and colour options available that trying them out is a must.” At CYC we use the very latest 3D design technology to enable the client to visualise the studio, then select the materials we consider most suitable to the budget and specification of the project. Gym flooring needs to be thicker and more robust in heavy weightlifting areas, and should minimise movement of equipment. It needs to protect your members’ bodies, and be conducive to performance enhancement. Springy, elastic flooring will protect joints and muscles and prevent injury. Premium rubber flooring from leading manufacturer Rephouse, comes with state-of-the art production technology, ISO 9001:2008 certification, and global reputation. Rubber is easy to clean and offers good resistance to heat and mildly acidic substances, such as sweat.